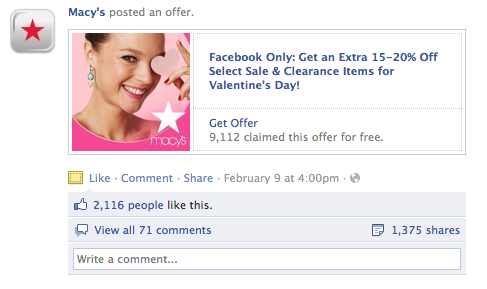 A few retailers are testing a brand new Facebook feature allowing them to create offers for their fan base… and beyond. It seems this new feature is not a new ad unit, per se. It looks more like a new post category, in a similar vein to status, photos, links, videos or questions. But we can’t tell for sure. 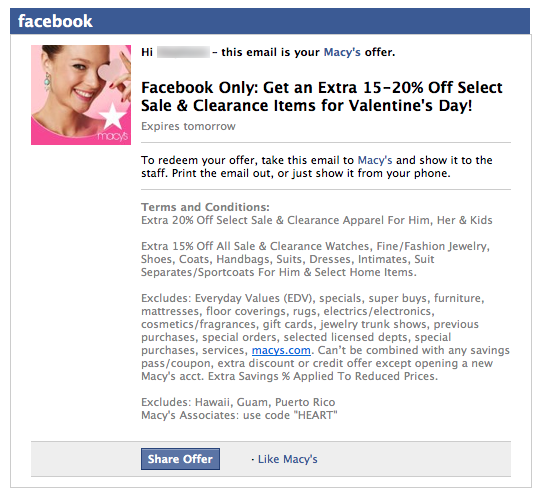 Here is the coupons on Macy’s page wall. Except its specific layout, it behaves like any other post. You can like it, comment it or share it. 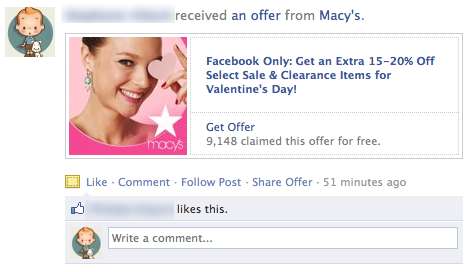 The offer may now appears on your friends’ news feed too. 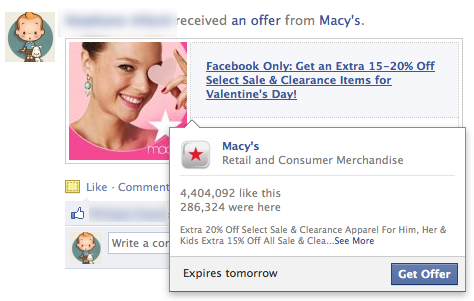 Facebook has given no details so far on the availability of this feature to all the pages. Thanks for sharing the offers. This makes a lot of sense. Yes, I think this function must be lived and in action ASAP. Business and customers need it. But I think about the position of it. Offers should be in most-look-at part or will be highlighted. So people can easy each them.